Today I enjoyed some leftover pulled pork with apples and sauerkraut for my lunch. So tender, and the flavors spot on. Just the right amount of sweet, just the right amount of sour. 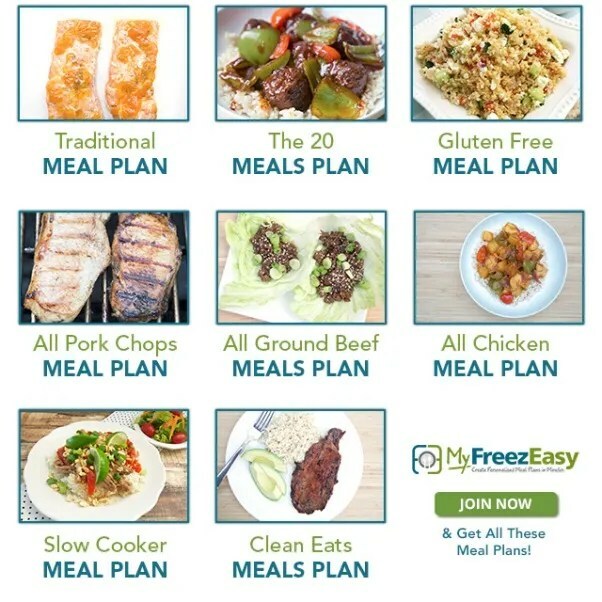 I’d love to spend some time today to walk you through how that happened with MyFreezEasy and their MyFreezEasy.com Freezer Meal Plan Membership. I started by looking through the eight different meal plans. My choices leaned towards budget, meats I could get inexpensively, recipes I recognized, and limited ingredients. I know that our town usually has pork on sale, so I picked the all pork plan. I printed out the packet and headed to our local Safeway. We only have 3 grocery stores in town, two small mom and pops, and Safeway. This often limits grocery variety. I liked how the lists were varied. Shopping List by Recipe, Shopping List by Store Section, Meal Prep Day Shopping List by Recipe – I could look through them to see which worked for me. When I got home I turned to the individual meal sheets. They have the ingredients for single meals, or for 2 meals. I turns out I shopped enough for two meals. That may be because I said we had a family of four. They give the ingredient lists, cooking directions, assembly prep directions, Freeze and Thaw instructions, Dairy-Free modifications and Gluten Free Modification. I liked that I didn’t have to freeze the meals. If I were home, and had time, I could use this list as my weekly shopping dinner list. I was delighted at how easily the meals assembled. The vocabulary and instructions on the recipe sheets were simple to follow. I was just going to do 1-2 and take a break, but ended up assembling them all for the freezer, save for one Cornbread Pork Chop Casserole to put in that evening. 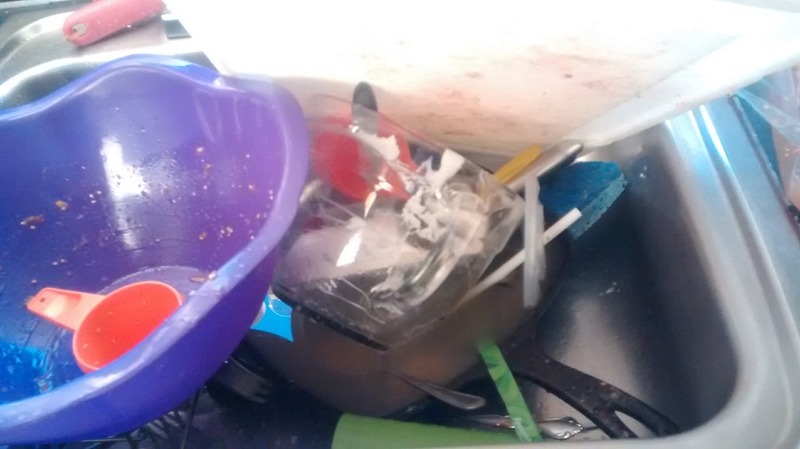 This is a photo of my sink. That’s it!! And the pan at the bottom wasn’t even from the the prep. This is ALL of the dishes used to prepare the meals. Here is where it gets good. I just pull out the bags. I’ve already written the directions with a sharpie on the bag. I text the teenager or my husband and ask them to put it in the crock pot on low at a specific time. When I come home . . . ta-da! Dinner for all. I’ve used a couple of online meal plans. 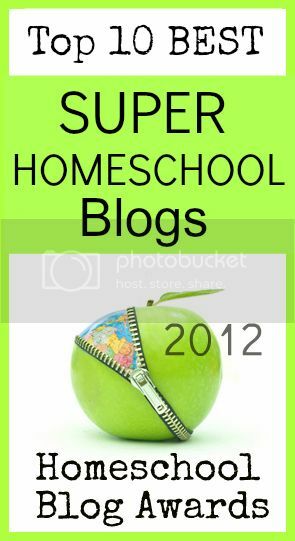 I like this one the best so far because of the variety of meal plans. 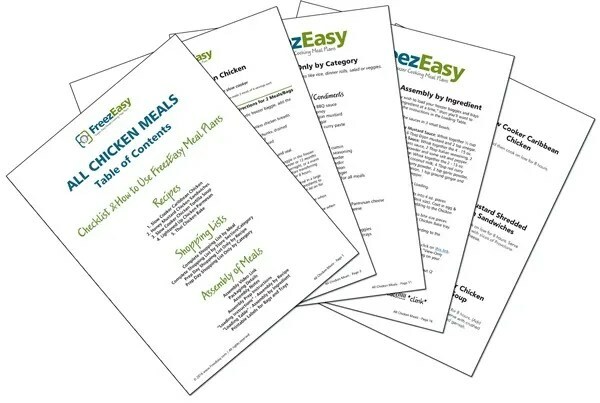 I’m not buying the “Clean Eating” meal plan, I’m getting them all. Depending on my budget, item availability and cravings, I can choose different meals. I like that the ingredient list, assembly instructions, and cooking directions are all on one piece of paper. If I stored these in a binder, I could pull them out easily. 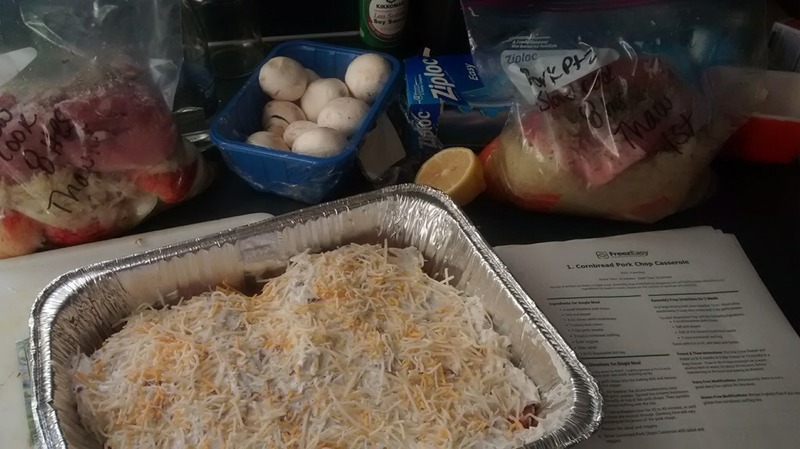 Other plans split it all up and it is seriously hard to pull out one favorite recipe. I like that they are really simple, yet very flavorful. 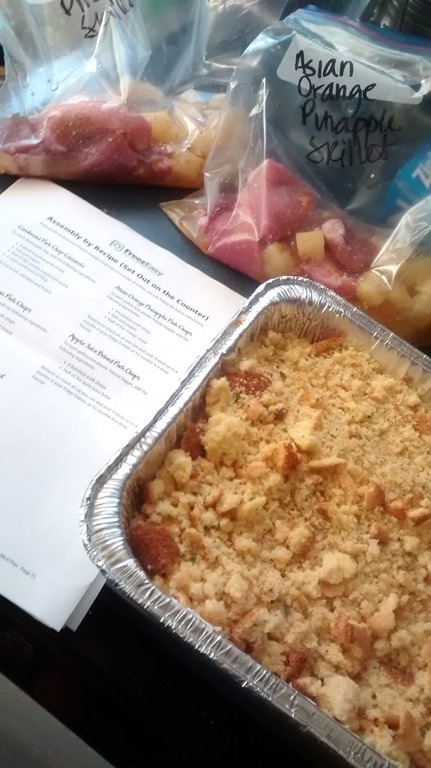 I like that I could put the items in a gallon zip bag and that my family can pour it into the crock pot, or that I could make it in a freezable 9×13 dish and have the oven taste as well. It is not a crock pot plan. I like that one recipe we used – we used on the stove. That evening I sautéed my pieces of pork, simmered up the sauce, and steamed the rice all at the same time. Home Cooked meal in less time than it took to cook the rice. No prep that night. I will continue to use these meal plans throughout the year. 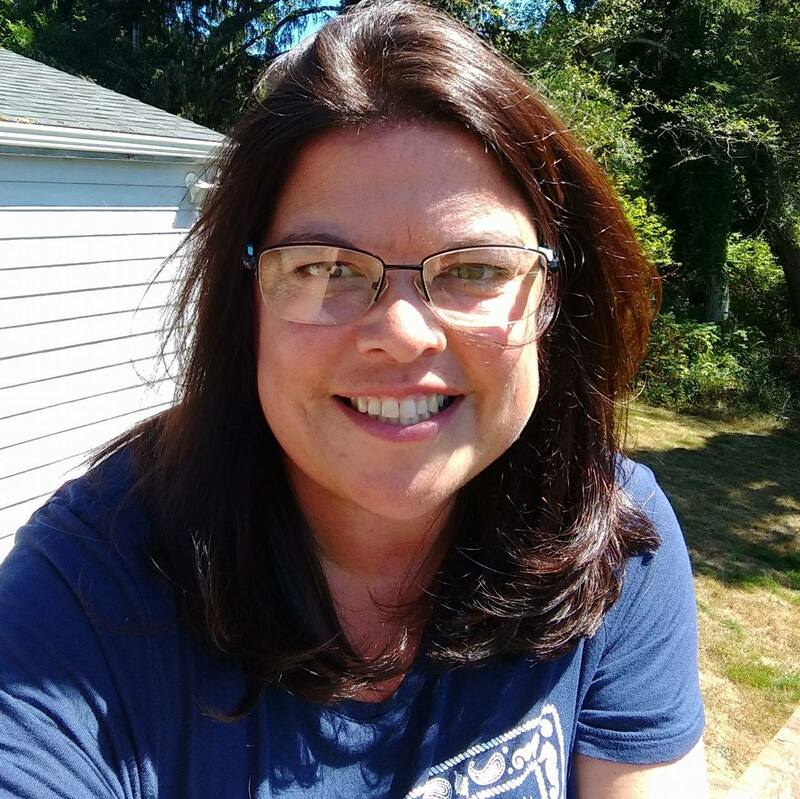 My family thinks I’m really getting it all together as a work outside of the home mom. I’m really going to love these when the next sport season hits as well! 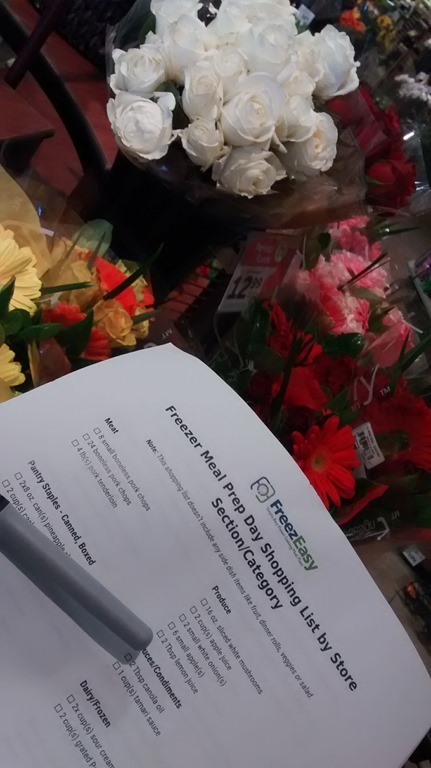 This entry was posted in Reviews, Schoolhouse Crew and tagged #hsreviews #freezeasy #freezermeals #5dollardinners #freezercooking. Bookmark the permalink.